So, as we head out of the main summer season here on the Costa del Sol, families on their summer holidays return home and kids head back to school, I head into the busiest time of year for me at Mobility Abroad Costa del Sol…..
September, October and November is really when my business explodes! In these months ahead I know I won’t really have much time to stop and reflect on anything, so this morning, as I was driving from Torremolinos to Marbella to deliver a Mini Scooter, I got to thinking about just how lucky I am to be working in this little piece of paradise and how far things have come for me in the last 5 years since moving to Benalmadena. 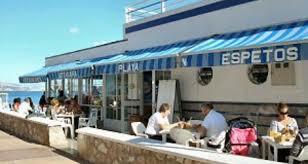 I moved to Spain in 2013 and took over Mobility Abroad Costa del Sol, which had already been running since 2001. Since then the company has really gone from strength to strength, I like to think this is due to the personal and tailor-made service I aim to offer to all my clients. As the company has grown the demand for more scooters has obviously increased. 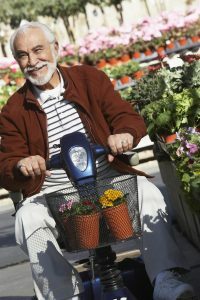 So by listening to you, my valuable clients’, I now have a new scooter fleet that has been designed to be more Costa del Sol Pavement friendly and durable. 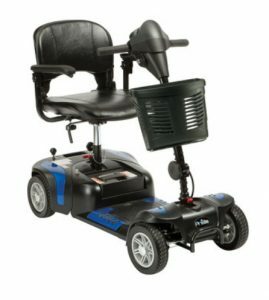 I have hand-picked individual components to create a stronger mobility scooter for you to hire. Some of the features these New Popular Scooters offer are…. 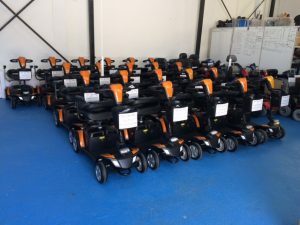 These mobility scooters arrived at the end of July and I am so excited to see them out and about on the pavements of the Costa del Sol. Getting to this stage with New scooters was really a dream of mine when starting out, so to see this becoming a reality is so amazing to me. I must admit I am a little bit proud and a huge amount grateful to all the people around me who have helped to make this happen. I am so happy and lucky to be able to say I love what I do, and I really owe that to my lovely clients. My clients are what make every day different and fun for me, so thank you all. 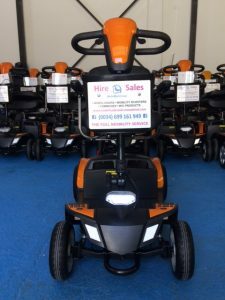 If you would be interested to hire one of our new fleet of scooters, please feel free to get in touch any time on the below details, but please remember if you are planning a visit during the next few months, please try and book as soon as possible to avoid disappointment.…. We service the whole of the Costa del Sol, Malaga region and we are able to deliver your mobility items directly to you so that your experience of mobility hire on the Costa del Sol is stress free and easy going. We really are here to help you in anyway way we can.